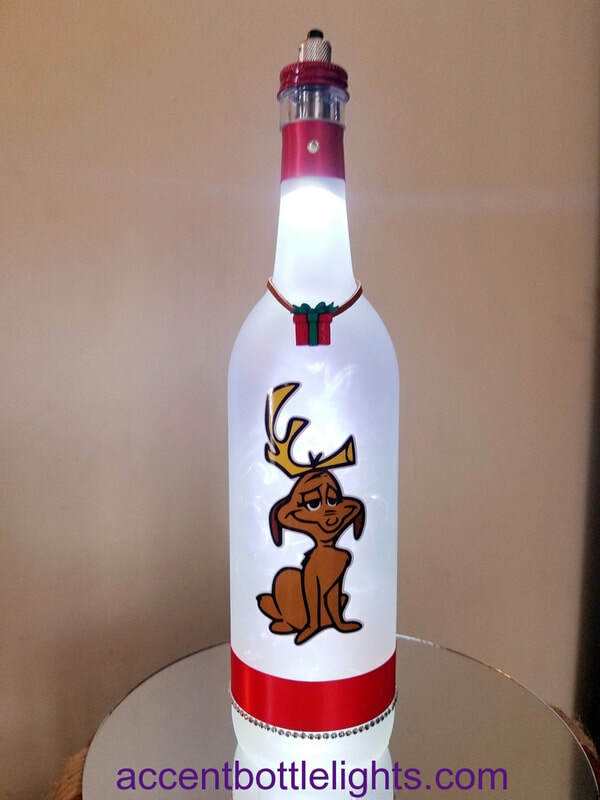 Being that The Grinch wine bottle light is our most popular Christmas lamp, we've added Cindy Lou Who and Max the Dog to make a Grinch bottle light collection. They come with your choice of a bow or Christmas present charm. 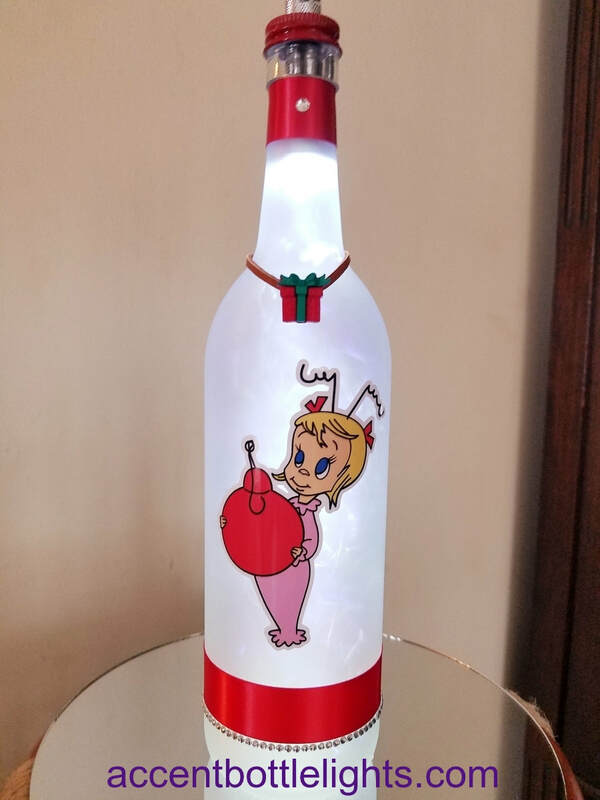 The Grinch Christmas themed bottle lights make amazing Christmas gifts, (especially for children and men), as The Grinch who Stole Christmas is loved by all! 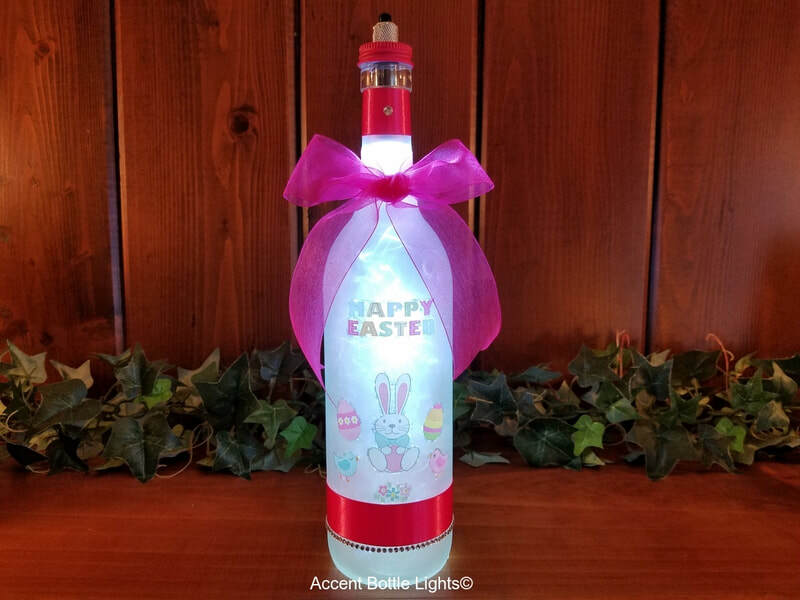 The Christmas themed lamps are great gifts for relatives, co-workers, party hosts, or a secret Santa gift. 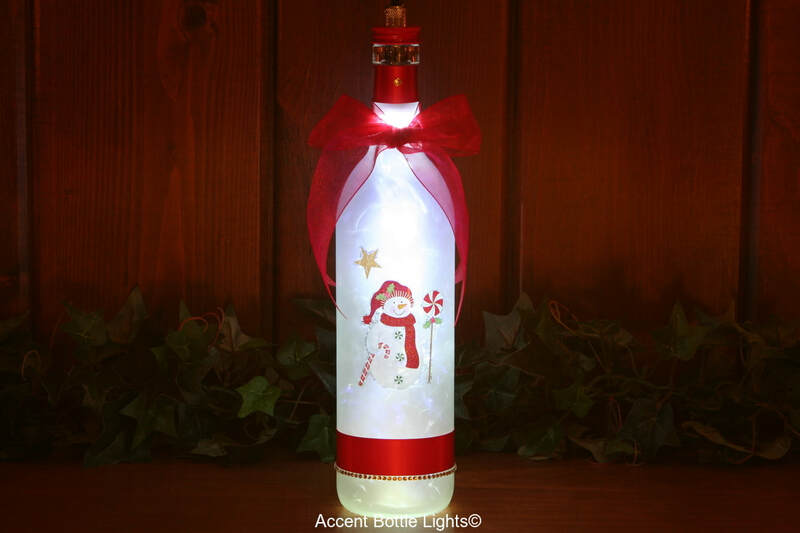 They are also awesome for holiday decorating! 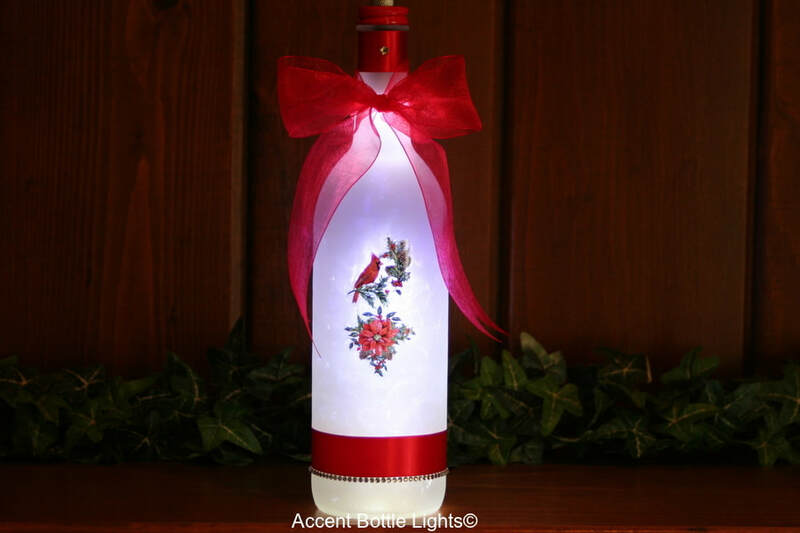 ~ Valentine's Day lamps are made to order. We can make them full of hearts with our 'Happy Valentine's Day' decals, or with a simple rose and an 'I Love You'. 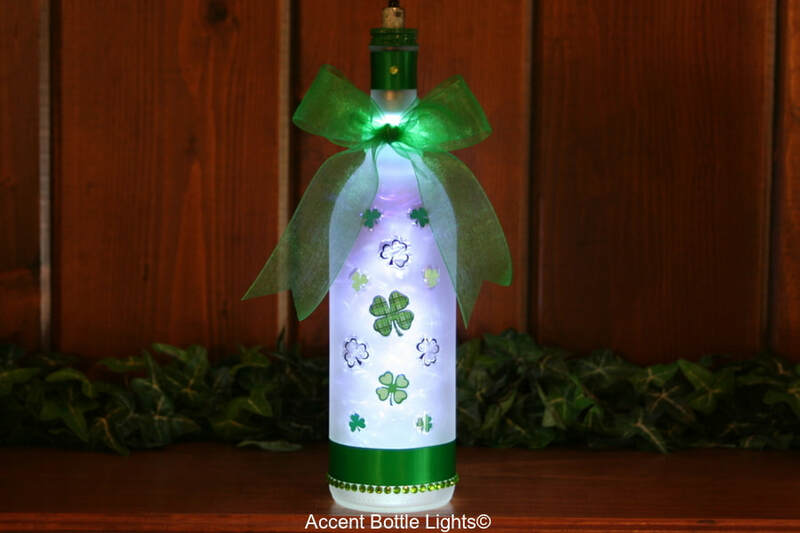 Seasonal lamps include Christmas, Valentine's Day, St. Patrick's Day, and Easter. 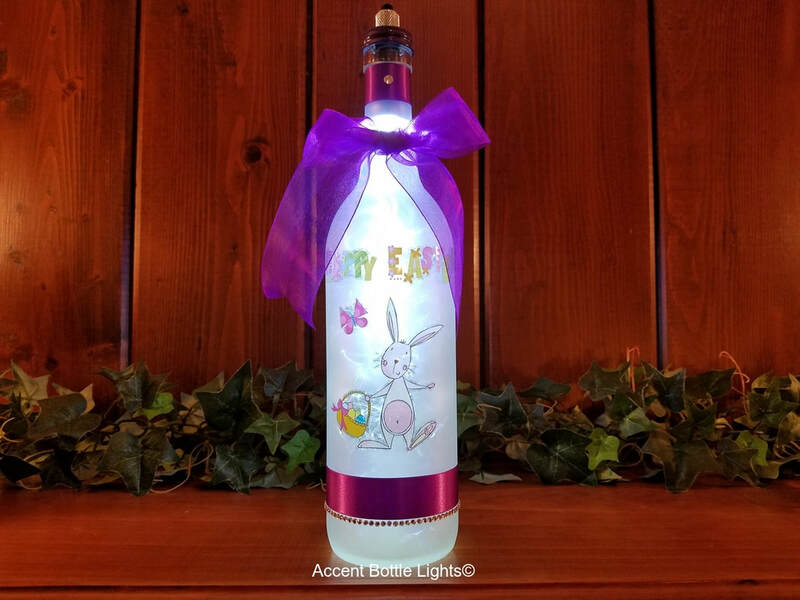 The best way to order is to call, or go to the home page and use paypal.me.